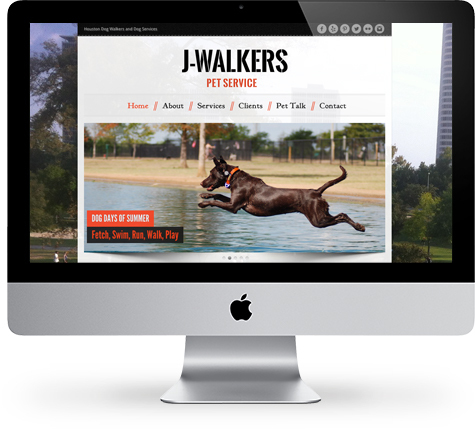 J-Walkers Dog Walkers is a dog walking service located in Houston, Texas. We designed a website that J-Walkers can update themselves very easily from any computer without any special software. They can update photos, text, services, contact emails, everything. We also optimized their site for searchability on search engines like Google, Bing, Yahoo, etc. They can also monitor their website traffic through a report dashboard to see who is visiting their web site and how they interact with their web site. Each month we dive into search marketing tips, new ideas to enhance you web presence and things we're working on. © 2018 Be Digital, Inc. All Rights Reserved.